The Neumann Group needed a system that was everything it said it was. Tired of the same old? So are we. Starting out as a family owned sand mine on Currumbin creek, the Neumann Group has grown to employ over 600 people since being founded in 1948, and heads up major infrastructure projects right across Australia. Not far from where they started, they’ve developed the beaches along the Gold Coast – helping shape one of our most iconic coastlines. In recent years, they were having trouble with their service provider. 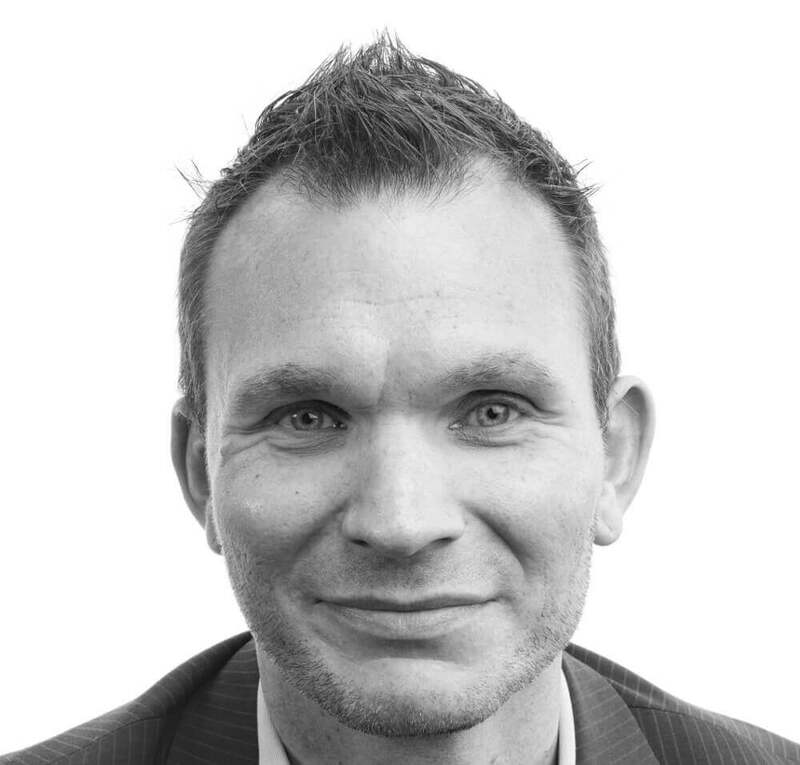 Frustrated by a system that couldn’t keep up with the breadth and scale of the company, they went looking for a service that would actually live up to it’s promises. A system with a solid footing. 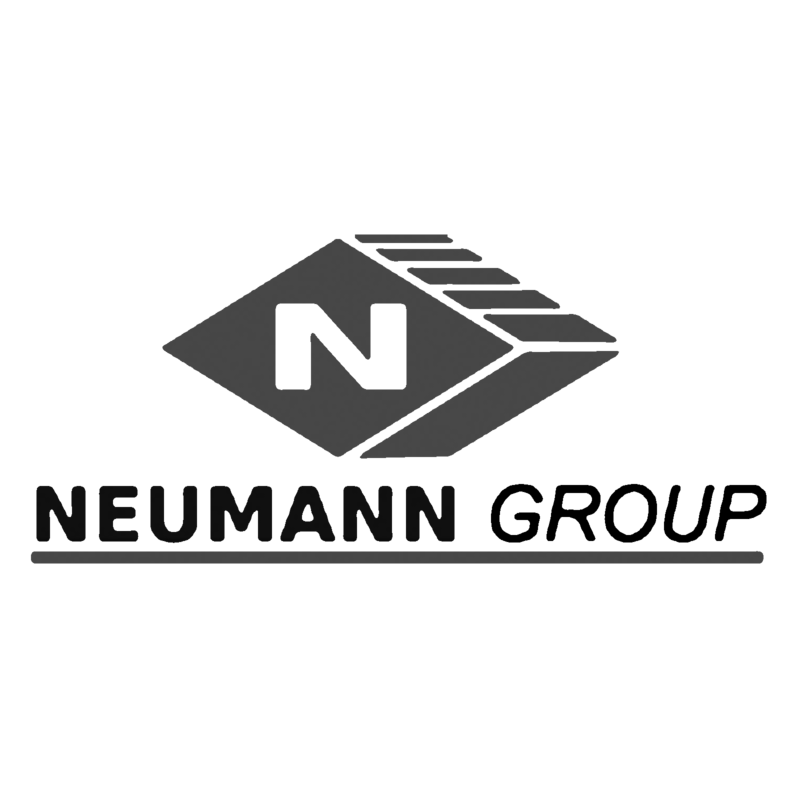 With six companies under their umbrella, the Neumann Group found a lot of time was being spent processing service requests and repeatedly following up on these. There was too much back and forth with their telco, with delays and days spent sorting our bills at the end of each month. Teaming up with the Neumann Group, we were able to iron out some of those kinks. For starters, our MacquarieView online portal put everything in the one place – saving valuable time and a lot of unnecessary stress tracking down bills. 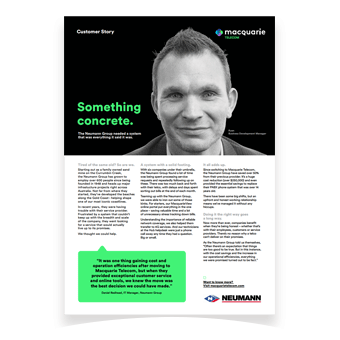 Since switching to Macquarie Telecom, the Neumann Group have saved over 50% from their previous provider. It’s a huge cost reduction (over $250,000) and even provided the essential savings to replace their PABX phone system that was over 14 years old. There have been some big shifts, but an upfront and honest working relationship means we’ve managed it without any hiccups. Now more than ever, companies benefit when being honest – whether that’s with their employees, customers or service providers. There’s no reason why a telco can’t deliver on their promises. Doing it right brought good things for the Neumann Group. Frustrated by old systems and an unwilling service provider, Neumann Group needed a partner who would understand that their business will continue to grow and help future-proof. Enter Macquarie Telecom to bring in a new system, huge savings and a promise to always support. "It was one thing gaining cost and operation efficiencies after moving to Macquarie Telecom, but when they provided exceptional customer service and online tools, we knew the move was the best decision we could have made."